Home » Popular Hairstyles » 10 Exciting Medium-Length Layered Haircuts in Fab New Colors! 10 Exciting Medium-Length Layered Haircuts in Fab New Colors! In general, cool blonde tones like ash and pearl suit pale skin with a cool undertone, and warmer skin-tones look best with warmer blonde. But if you have a warm skin-tone and want to overcome the ‘barrier’ to getting trendy ash-blonde, copy the model above. She obviously has a warm skin-tone, so the colorist has toned the ash with a hint of pink, which makes a great ash-blonde shade! Warm-beige is another fabulously fashionable new hair color this year and will also solve a lot of hair color dilemmas! Mousey/dirty-blonde or dark-blonde natural colors are always a problem, with many women going too far blonde, which doesn’t always look great. 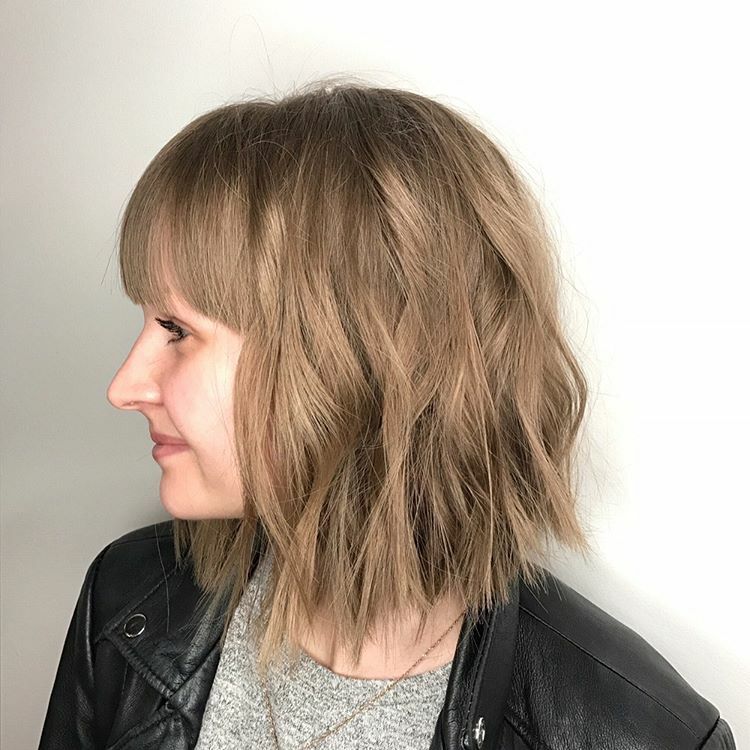 But this soft, light brown is a new shade of beige-blonde, which looks natural and trendy on this twisty bob with choppy ends! 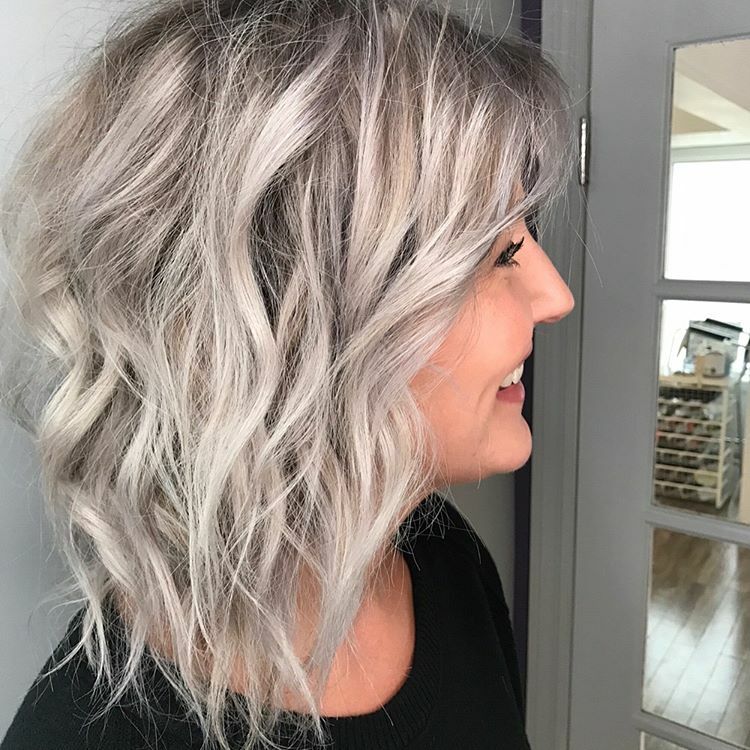 This wavy layered shoulder length bob has plenty of shine and attractive movement, but would look quite different if it was just one color all-over. 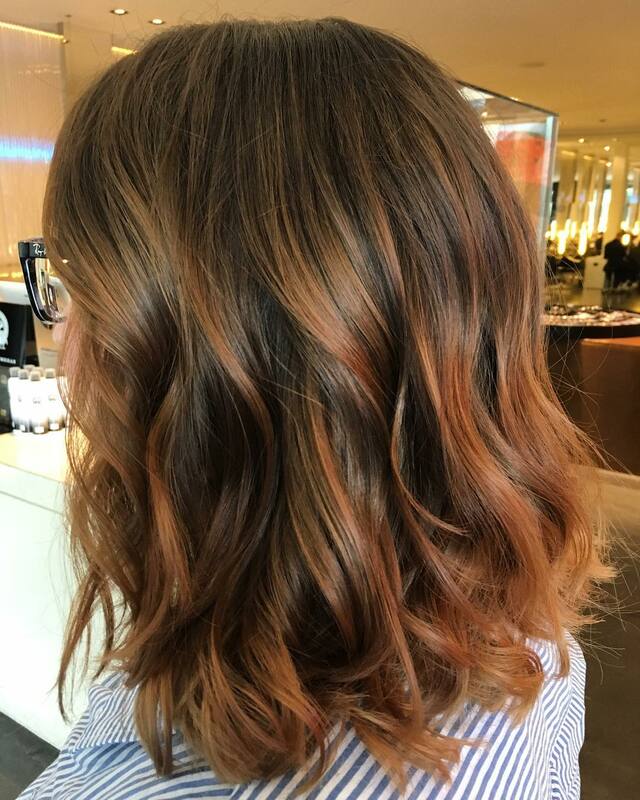 To add the fun of lively, bright copper in a classy way, the medium-brown base has been lightened with carefully selected balayage strands. 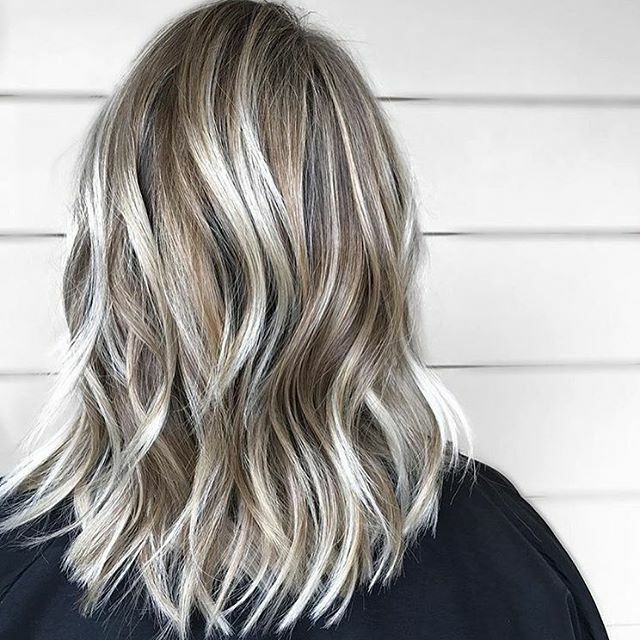 This switch from adding blonde streaks to brighten up brown hair, creates a more harmonious blend on this trendy, wavy bob. Copper is another popular shade this year, but the shades are different from any we’ve seen before. For instance, this intense burnt orange color, which you can get by adding beige to copper hair dye. 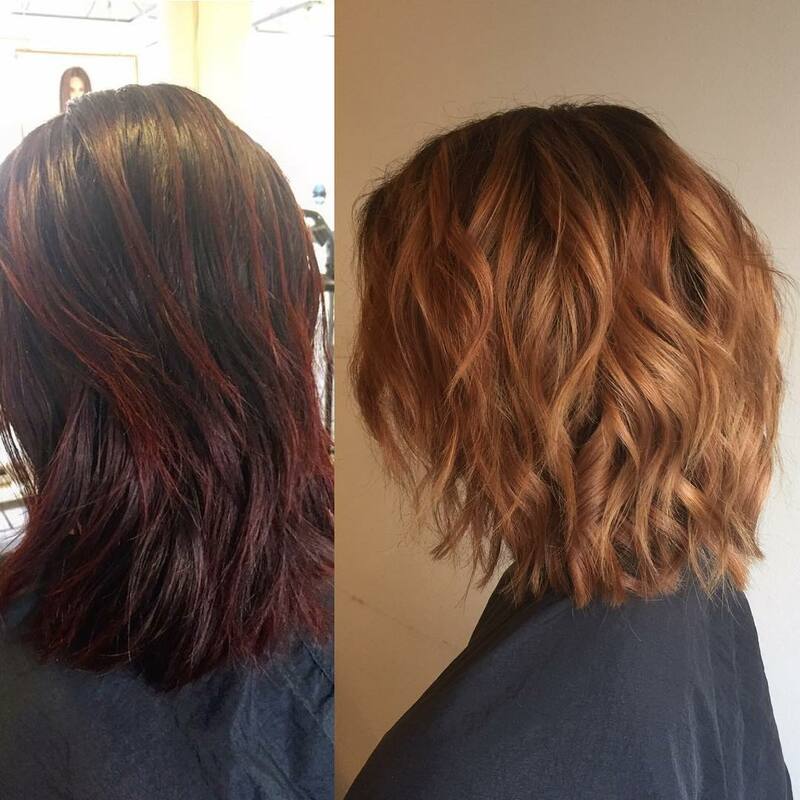 This lovely makeover shows the freshening effect of a lighter color and shorter, wavy layers. The hair looks brighter and more fashionable, with lots more shape and lively movement! 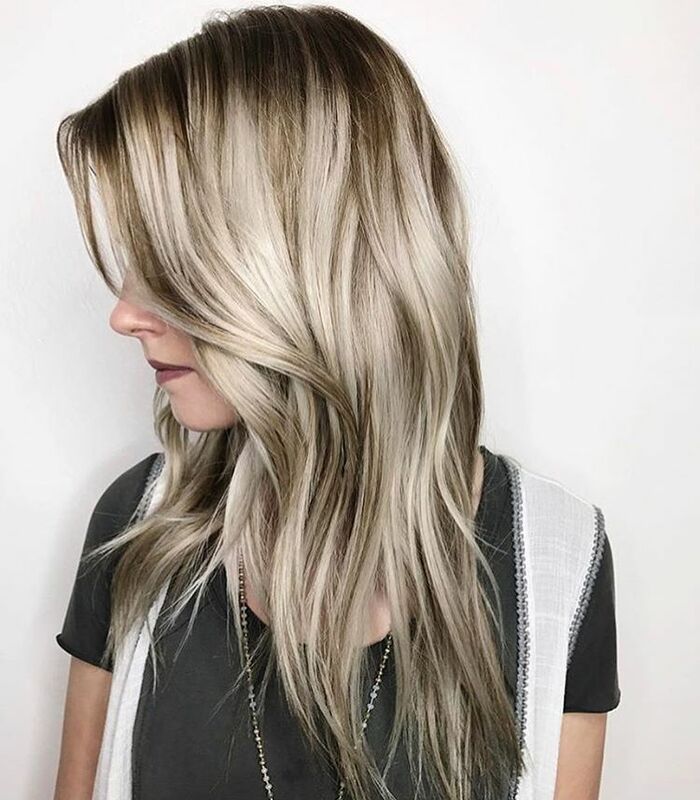 Ash-brown and true ash-blonde can be combined to create the color known as pewter, which is demonstrated in this long hairstyle. Pewter is a color only cool, pale skin tones can wear successfully and it really brings out the color of blue or green eyes. Remember, with a change to any new hair color you need to choose clothing and make-up colors that complement your hair. 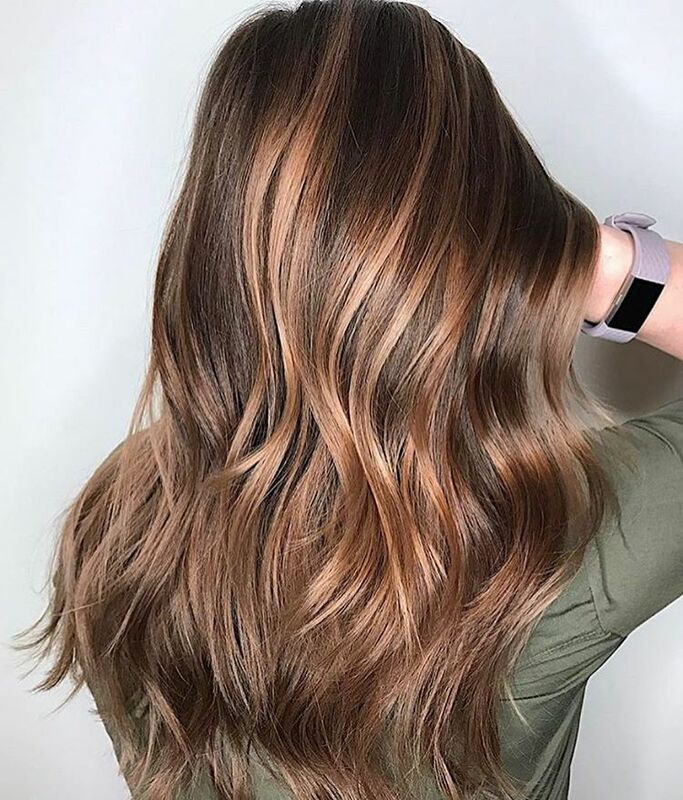 This beautifully blended hair color design shines with gorgeous streaks of classy rose-gold on a base on warm mid-brown. And when you look again, you can see pretty glints of copper that complete the hair-thickening, 3-D effect. The key to copper-blonde and brown this year is to blend it with beige and create soft, warm colors. Then you can relax and let your hair whisper,’look at me – I’m gorgeous’! Here’s another high-fashion cut and color design that blends three balayage colors in a new and exciting way! Pearly white-blonde dominates the foreground, over a layer of golden-beige that warms and softens. And when you look again you’ll see touches of ash-brown low-lights and brunette roots! This is a master-class in creating the look of thicker hair through expert color-layering and defined waves! Medium long layers are the perfect cut for showing-off multi-colored fantasy styles. 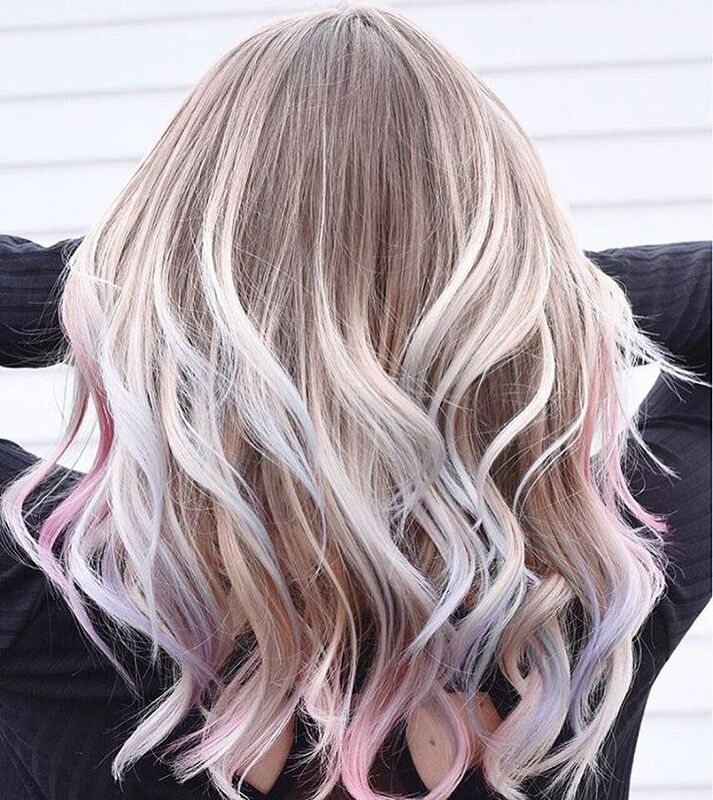 This cute and lively look blends beige roots with an amazing array of pastel-colored defined waves. 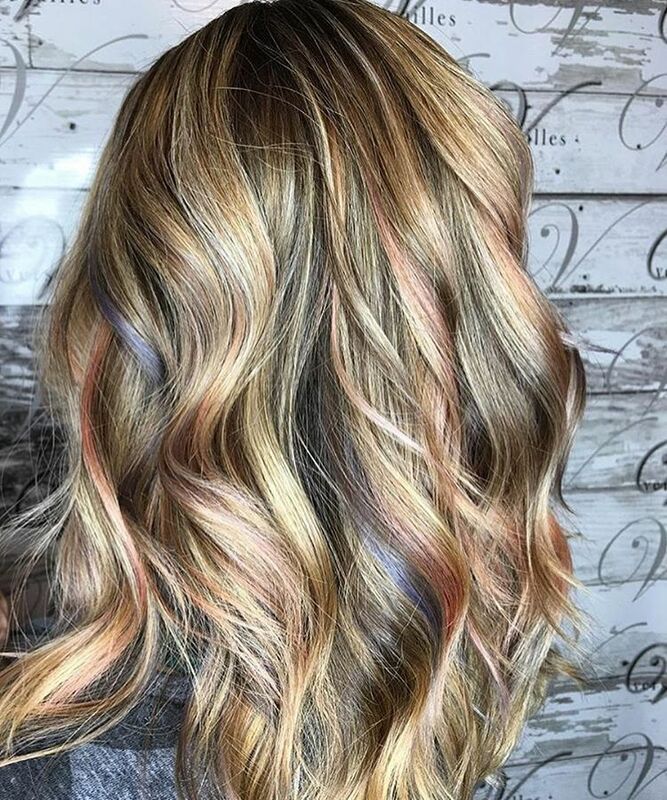 From champagne, through baby-blue, pink, peach and lavender highlights – this high-fashion, confident look is just full of fun and mischief! There are many, many shades of pink to choose from, but one of my favorite combos is plum and raspberry. 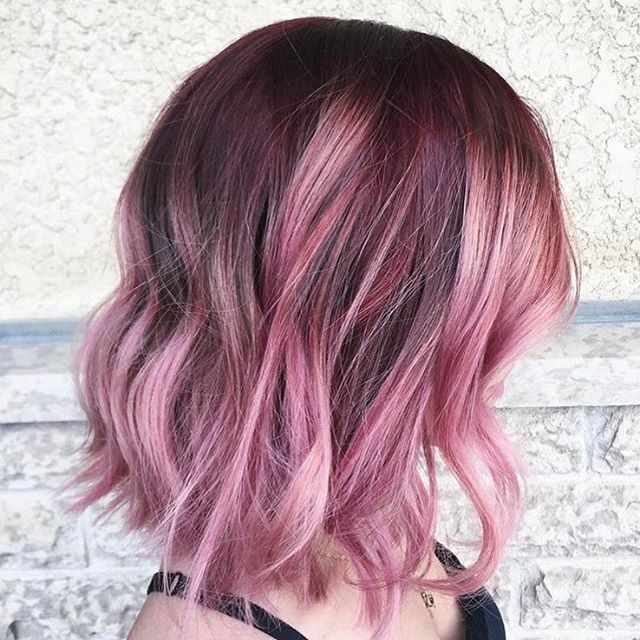 It’s pink hair – but with a quirky, boho twist! Both plum and raspberry have a purple/lavender undertone, which suits cool skin-tones like the model above. This is a great choice for fine hair, as the super-cool faded ombré and casually tousled waves make hair look thicker! This look is perfect for a prom or other special occasion where you want to show off your style with an attention-grabbing hairdo! 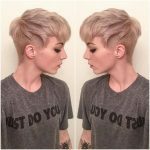 You can rescue your long, blonde hair from being a boring cliché, and add loads of sophistication in this gorgeous, yellow-gold, rose-gold and pewter-gray color design. You just add loose, casual waves for a special look that’s packed with lively personality!